I’m a big fan of shimmer…metallics…shiny. But I have to be really careful along my cheeks because they tend to be more dry. So far I’ve only reviewed Gabriel nail polishes (check out the Gabriel Color BLOCKade Nail Polish Collection Swatches & Review here) so I was really excited to try something more in the makeup realm. I don’t normally do a gold highlight because I’m so fair & I think it can look kind of harsh but this one actually works really well! Keep reading to check it out! 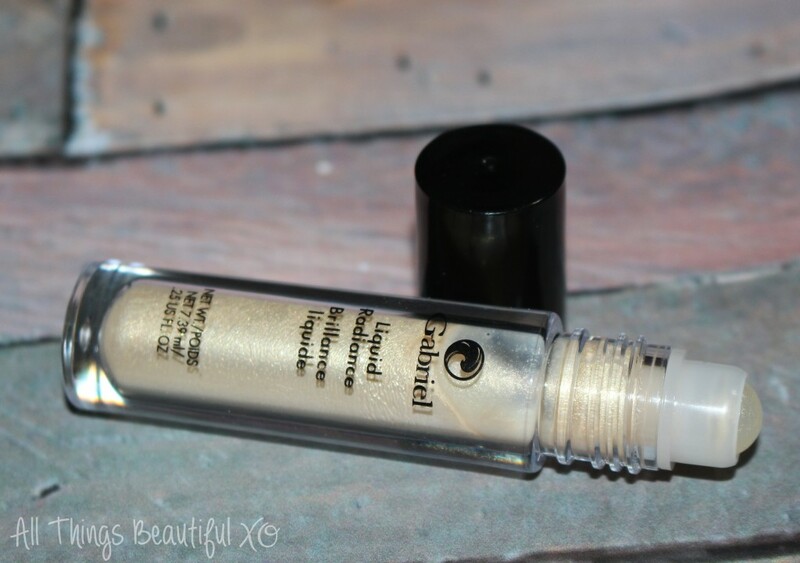 From Gabriel Cosmetics- Liquid Radiance highlighter is perfect for highlighting and adding instant luminosity to your face, collarbone and body. 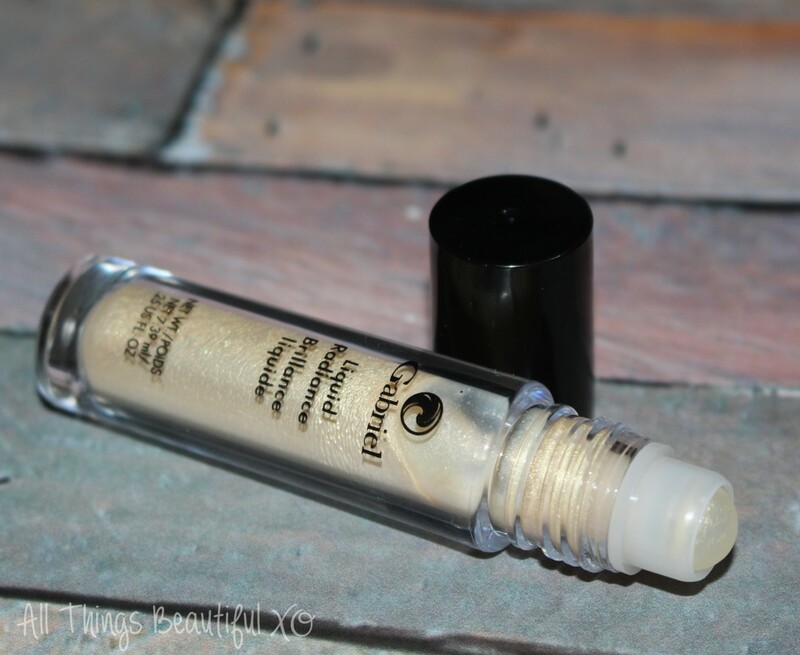 I actually don’t mind this in a rollerball because it has a liquid texture. It isn’t too thin, though, so don’t think it will go wherever to make a mess. I’m not usually a fan of loose makeup in these but this is the right applicator for the product. The formula contains glycerin which is really important- this means it won’t emphasize my dry areas as much! It is also gluten-free, cruelty free, & 100% vegan. To apply I tend to either run it on the back of my hand then pick up with a brush or fingertip. I just find it applies best this way for me personally. You can use it just about anywhere you choose but I like it in the inner corners & mixing in a bit with my body lotion as well. Great for summer! You don’t need much either because you can see it really blends out. The Gabriel Liquid Radiance rollerballs also come in Halo (pinker) & Rose Gold so I think those would really suit me! 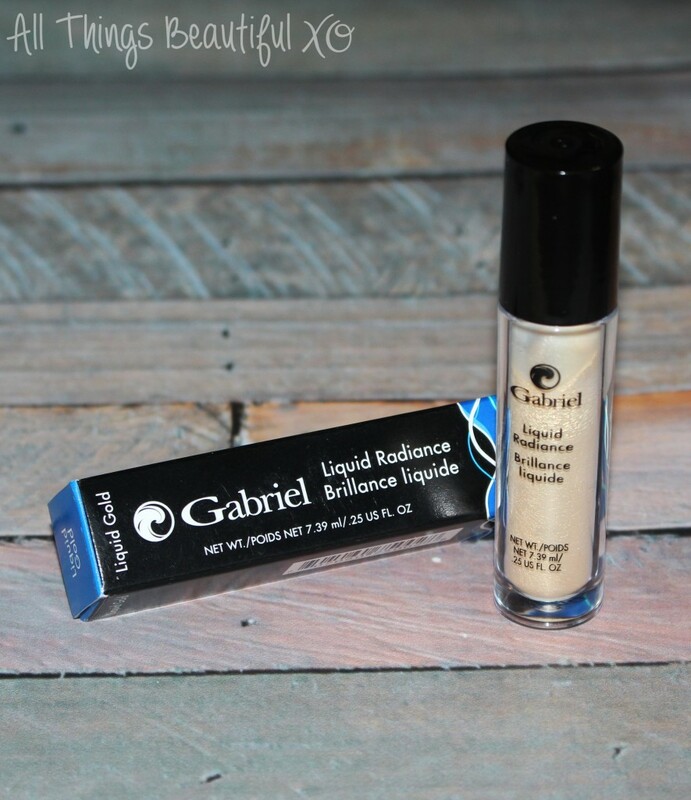 You can purchase the Gabriel Cosmetics Liquid Radiance products from their website or from Amazon here with free shipping! Have you tried anything from Gabriel Cosmetics that you love? What highlighter shades do you gravitate towards?